Teraoka Shoten Selected Gyoza Marugame City of Kagawa is famous for "Sanuki Udon" and "Honetsukidori Teraoka Shoten is also in Marugame City. 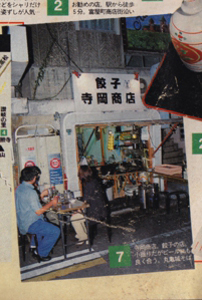 The first shop has been opened since 1998, There are only Gyoza(pan fried dumplings Okayu(congee)Beer but the shop was spread in Marugame City by word of mouth with businessmans, and the shop is also in downtown so Teraoka Shoten appears on local magazines and became famous. Teraoka shoten opened a first franchise shop by way of Tokyo and Osaka at Siam Paragon in Bangkok, Tailand from October 2013. And now Teraoka Gyoza expended overseas. 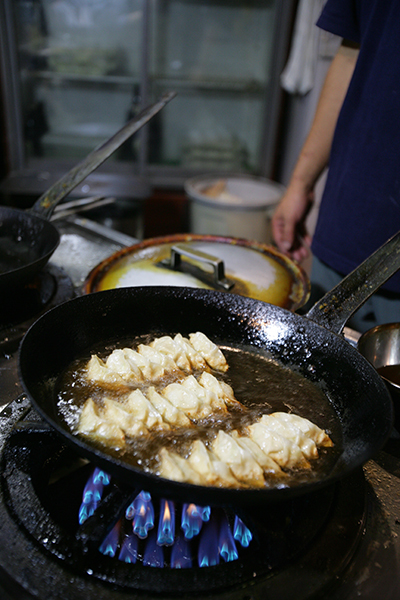 kind of Gyoza- Garlicky gyoza, and no garlicky Gyoza is popular among women and children. You may enjoy garlicky gyoza with "Oroshi Ponzu(mixed with grated radishes and a vinegar soy sauce)", no garlicky gyoza with "Sudachi Kosyo(Lime juice and pepper)"
I was employed at a major shipyard at Cebu in Philippines about 15 years ago from now, and the working place made me to start a Gyoza story. We can not talk to well but I explain them to talk with my body and hands gestures that Gyoza is a soul food of japan to enjoy with family or friends. Then everyone were very happy than I thought. It was the first time that I felt gyoza bacome a communication tool to world. 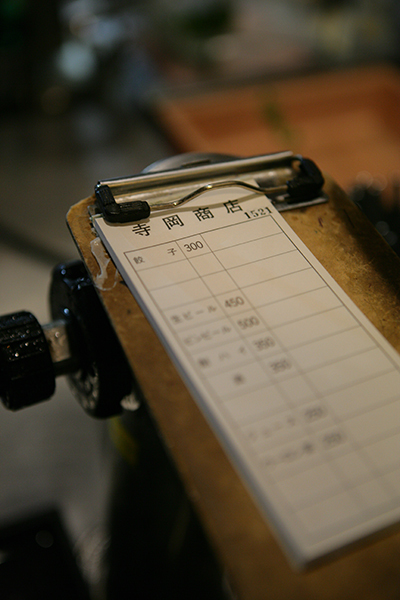 After I return home, I learned how to serve customers at bar and izakaya(a japanese bar). In 1998, I had a small gyoza shop at Marugame city in Kagawa, so my plan came true. there is nothing soy sauce to eat gyoza but Teraoka shoten invented a new style to eat with Sudachi pepper, it was a original style at that time and it has been reported in magazines and on television so Teraoka shoten became a popular. Gyoza stadium of Namco food park heard about the idea, so Teraoka gyoza got invite to Gyoza stadium and that is a chance to advance into Tokyo. 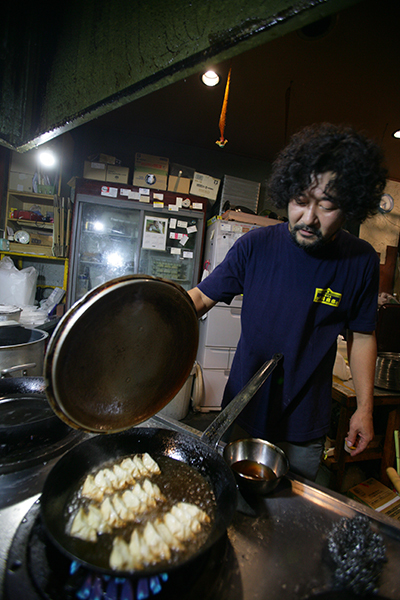 After into Tokyo, Teraoka gyoza increased more to broadcast on various TV media, and started to business with mail order company so our gyoza can eat at all of japan. It was a chance to open a shop overseas, when I met Kacha brothers at Tokyo and they invited us to come to Bangkok. 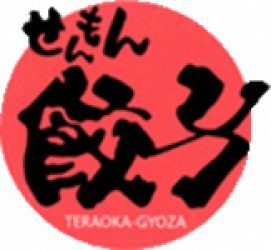 In August 2013, we confused by their invitation but we made a franchise contract and we opened Teraoka gyoza shop at shopping mall in the center of Bangkok in the same year. This is a first step to the world for Teraoka shoten. The beginning of history was a dream at Cebu in Philippines about 15 years ago. Gyoza became a one of communication tool to provide a soul for people who is different countries, different languages and cultures. 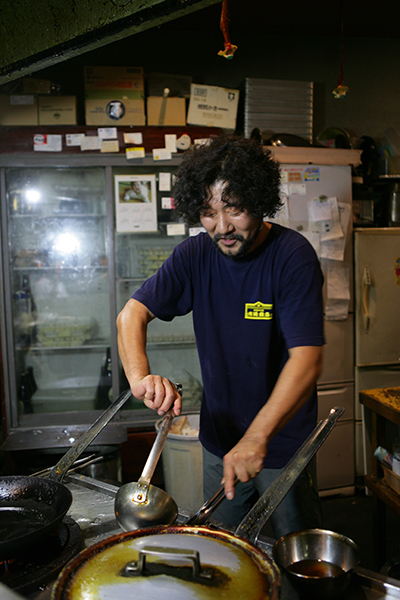 Japanese "Ramen" is very familiar in the world than gyoza. Gyoza is not familiar yet, but because of that, I feel can do more interesting things. Making the world happy with japanese gyoza, this is my dream and the first step of challenge to the world. Copyright (C) せんもん寺岡商店 All Rights Reserved.